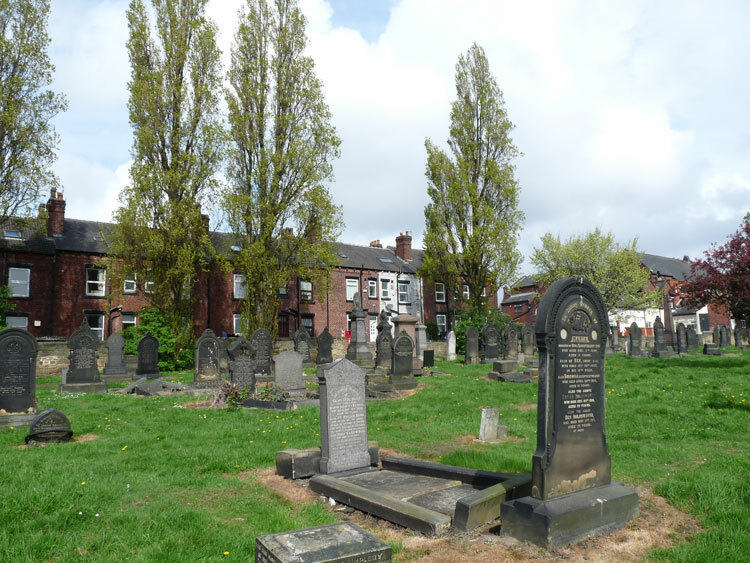 Leeds (New Wortley) Cemetery with Serjeant Bates' Headstone in the centre. New Wortley Cemetery in Leeds contains 69 Commonwealth War Graves, - 43 of which are for First World War burials. 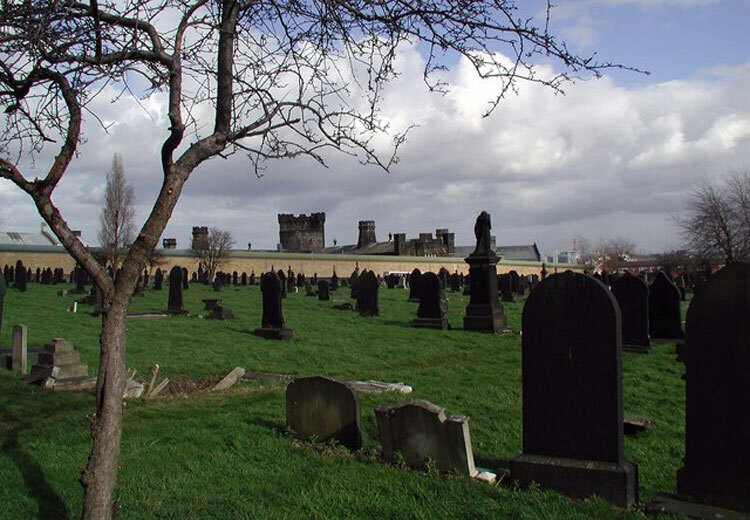 Amongst these graves are 3 for soldiers of the Yorkshire Regiment. 6th Battalion Yorkshire Regiment. 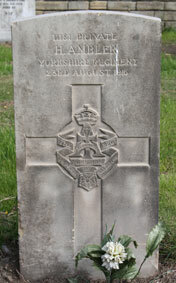 Died at home 23 August 1916. 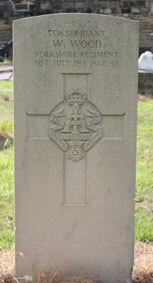 To view a larger sized image of the headstone, click on the thumbnail. Close the window that opens to return to this page. 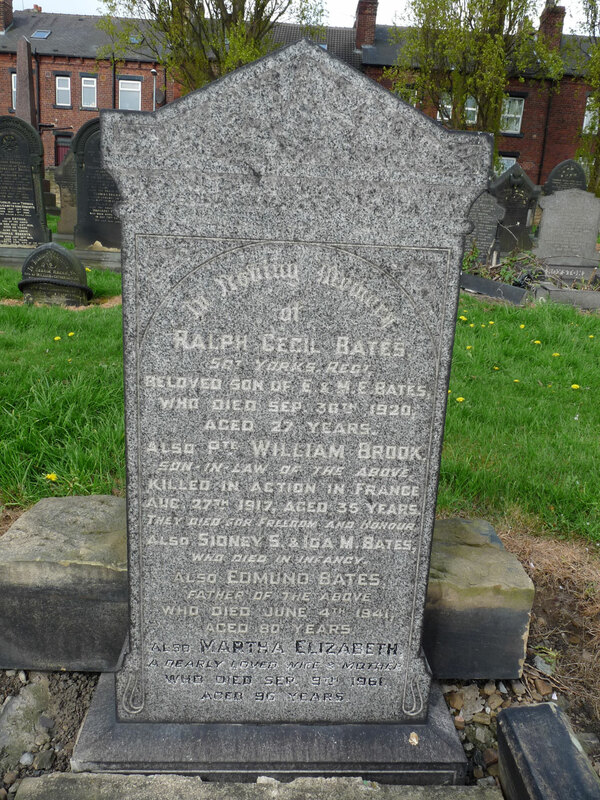 Serjeant Ralph Cecil Bates. 27512. 2nd Battalion the Yorkshire Regiment. Son of Edmond and Martha Elizabeth Bates, of Upper Armley, Leeds. Died at home 30 September 1920. Aged 27. 2nd Battalion the Yorkshire Regiment. Son of Charles H & Sarah A Wood. Husband of Annie Wood. of 9, Croton St., Armley Rd., Leeds. Died at home 31 July 1919. Aged 42.